Family, Birthwort. Color, dull brown-purplish. Corolla, wanting. Calyx, bell-shaped, spreading, with 3 short, pointed lobes lying flat, open. Stamens, 10. Style, 6-lobed at summit, with 6 spreading stigmas. Fruit, a fleshy, roundish capsule, bursting irregularly and scattering many seeds. 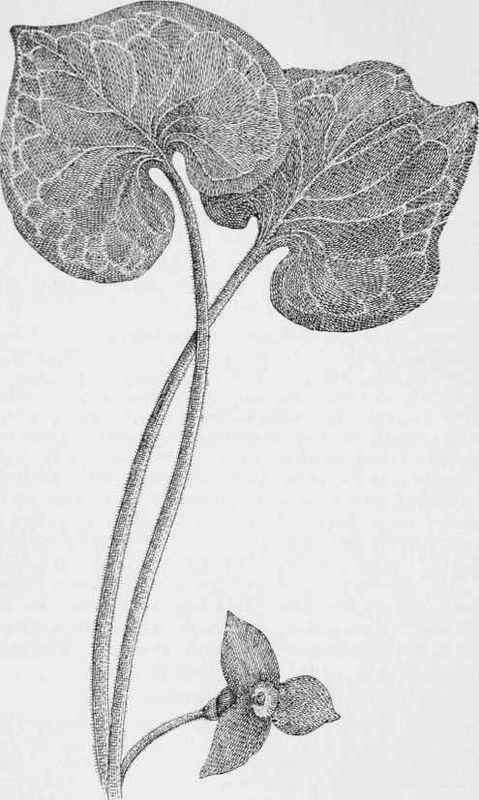 Leaves, 2, on long petioles, from creeping rootstocks, kidney-shaped, 4 to 5 inches broad, thin, and translucent. Early May.